A monthly round-up of what I've seen, watched and listened to. This month I'll talk about the best-of-the-best in each category and then give a quick overview of the rest. I binge-watched a bunch of stand-up comedians at the Melbourne International Comedy Festival early in the month, saw a show each at the Melbourne Theatre Company and Malthouse Thetare, as well as a little show called The Road to Woodstock at Chapel Off Chapel. I see a lot of theatre - plays and musicals, mostly. I love being won over by a piece of theatre. I go in with the attitude of "give me your best" and I really hope that happens. But when I watch plays or musicals, I can usually see the work that's gone into it. I watch and my brain tries to figure out how it works - whether as stage craft or just on the level of writing. If I'm loving a play, it can inspire me - to be better, to try new things. If I'm hating a play, I'm pulling it apart - trying to work out what went wrong. 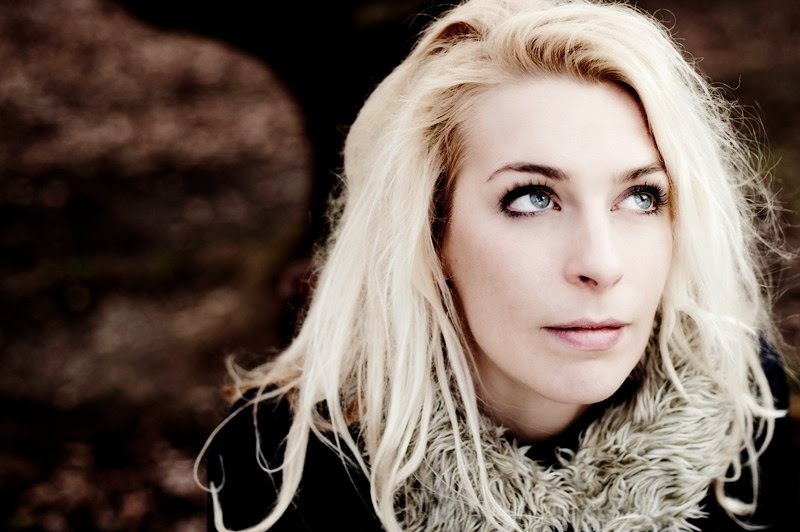 Sara Pascoe tells great stories, is consistently funny, ties her show to a theme - challenging our perception of womens' place in history - and entertains for a solid hour. She's open and honest - doesn't mind making fun of herself, but is never self-indulgent. And hilarious. If a stand-up routine can make me laugh from beginning to end, that's all it needs to do. It doesn't need to be flashy. It doesn't even need to be smart. But if it is, if it has something to say. If it makes me see the world differently, good. Sara Pascoe did that. Just don't ask me how. Elsewhere... Melbourne Theatre Company's production of Beckett's Endgame was hamstrung by Beckett himself and the insistence that his stage directions are followed to the letter. I like the play and there are superb moments. But in some ways it feels so dry, so mannered and so dated. After seeing the Triptych at the Adelaide Festival recently, I know I haven't become adverse to Beckett. But as much effort as director Sam Strong and his awesome cast put into the show, it still feels like the best play of 60 years ago. The much more modern stylings of Meme Girls at Malthouse was entertaining but disappointing in the way it kind of felt thrown together. I know it was an homage to YouTube, but I only engaged (or not) with the show piece by piece and not by the whole. I've seen a lot of Neil Cole plays, but his love letter to Joan Baez, The Road to Woodstock, is probably the best work of his. Petra Elliott is incredible in the role of Baez. It's on until Sunday. When Justified started six year ago, I thought it might be a fun diversion. I like Elmore Leonard's novels and basing this show on one of his short stories is a solid basis for an ongoing series. 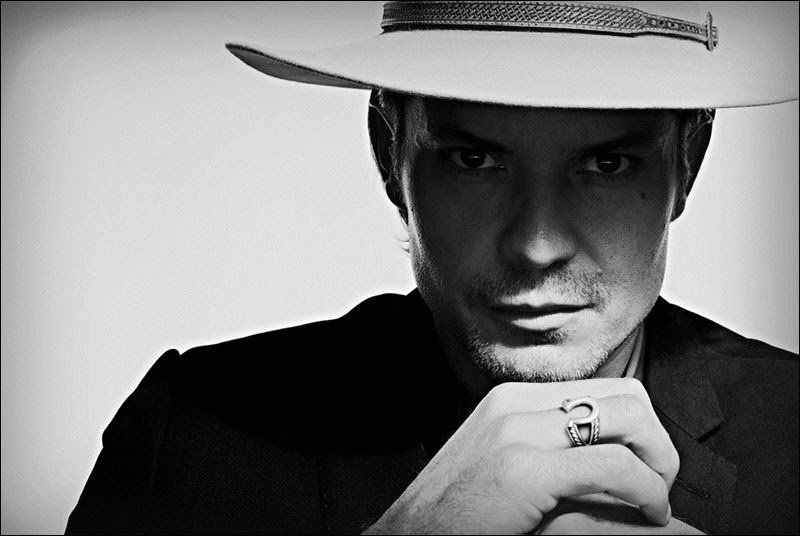 The show is about Raylan Givens - a US Marshall who must return to his home town in Kentucky. The criminals who populate the show are typical Leonard creations, violent, verbose and - often - quite stupid. Givens is like a Sheriff from an old Western, so casting Timothy Olyphant after his turn in Deadwood was perfect. There's a lot of talk about how TV is currently in a new golden age. And the shows discussed are often game-changers. The Sopranos, Mad Men, Game of Thrones, Breaking Bad - they all changed the medium, whether or not I was a fan of them personally. I don't think Justified changed the medium, but it was a solid show for six years - and it did what I need my favourite shows to do, remember its history and let its characters grow. Even just a little. It honoured Leonard's work and was a hell of a lot of fun. One of the absolute best shows on television right now is The Americans - about a pair of Russian spies who are married and living in suburban America in the 1980s. Its third season was the best yet. I also watched The Fall, which I loved. And Daredevil, which I am somewhat indifferent to. But I'll let you know what I think when I finish the first season. And speaking of the Marvel Universe, I saw Avengers: Age of Ultron last weekend. I'll probably write a review of that this weekend. But just quickly - a lot of fun, but trying to do too many things at once. Finally, the last season of Mad Men is airing right now. Expect a post about that when it wraps up in three weeks' time. Spotlight on... 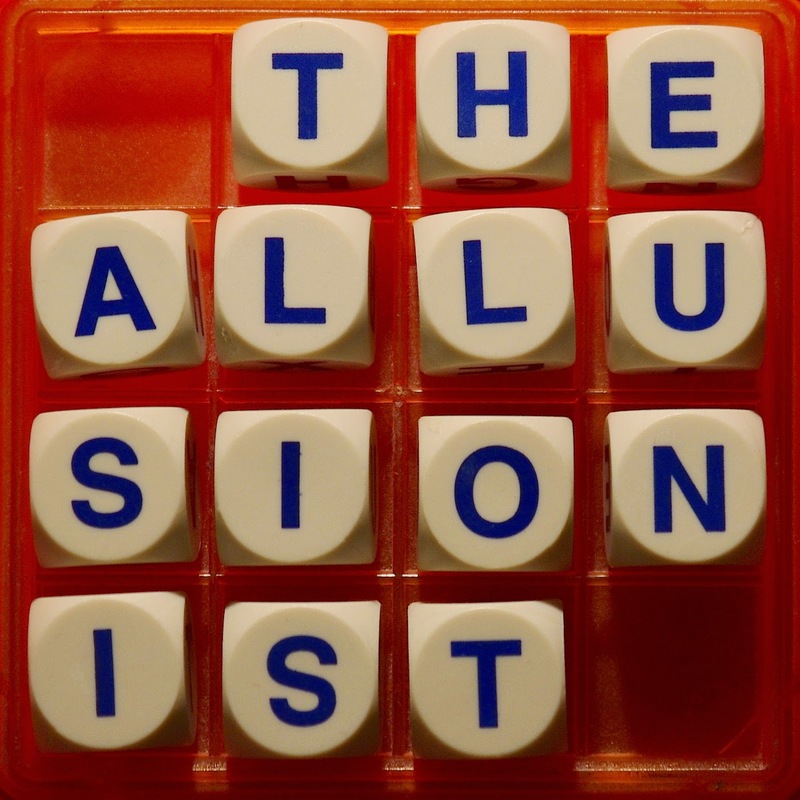 The Allusionist is a podcast about words - and sometimes about the spaces between the words. Its first episode was about puns, there's another about where the word bra comes from, one about crossword puzzles. My favourite is about fake words in the dictionary - words inserted into published dictionaries to act as a kind of copyright protection. If someone copies a dictionary and uses one of these fake words, it's easy for a dictionary publisher to notice. Of course, once these words become well known, even for their fakery, they become words. Scriptnotes continues to be a great podcast about the creativity and business of screenwriting. On a similar topic, I've been listening to a lot of episodes of the Nerdist Writers Podcast - writers on Joss Whedon shows, writers on Friends, writers on Archer. I've been sampling The Theory of Everything, which currently has an ongoing series called "New York After Rent" - which is about how AirBnB has changed New York in some strange ways. But it's also got some great stuff about the musical Rent and the real-life Life cafe (which no longer exists, but of issues with their landlords and, uh, rent). Also check out Love + Radio and Strangers. Pick a random episode and listen. Let me let you in on a little secret – if season two of Sonnigsburg ever happens, we know where the story is headed. But if we only ever make six episodes, it’s a satisfying and self-contained story. It’s the whole first story we wanted to tell. We started with a premise, had a good idea of where episode six ended and worked our way to that ending. Writer Javier Grillo-Marxauch, who worked on the first season of Lost, posted a lengthy essay on his blog recently – discussing the old accusation that the series’ writers were just “making it up as we went along”. For me, the essay went a long way to explain a fundamental truth – writing for television is nearly always being made up as it goes along. That’s the nature of television production. Grillo-Marxauch does a great job at explaining the pressure the writing staff were under to build that first season on the back of an incredible pilot episode – a pilot that wasn’t necessarily written to begin the story they ended up telling. The premise of the pilot is low concept – people surviving a plane crash on a remote island. The TV series is high concept – it’s science fiction and melodrama. There are elements in the pilot that point to those elements of science fiction and melodrama, but where the story was headed was not planned before the pilot. Planning began in earnest once the pilot was in production. I found Lost incredibly frustrating for the first season, enough that I gave up on the show. There were a lot of questions posed, but very few answers in that first year. The second season threw up a bunch of new characters, but the show – if the writers knew where it was headed – didn’t satisfy me enough. Not until the end of the third season, when the showrunners knew they had three more seasons left to wrap up the narrative did the writing and the characters come into sharper focus. And I watched from there until the end, each successive season building on what came before. But year one was still shifting sands. There’s a new documentary been released called “Showrunners” – about the men and women who create television series and oversee every aspect of writing and production. Joss Whedon is likely the most famous showrunner in recent memory – having made and run Buffy, Angel and Firefly. He also created Dollhouse and Agents of S.H.I.E.L.D., which is run by his brother Jed. A lot of avid viewers and fans are so engaged with TV series these days that showrunners have gained a level of fame that was unusual even ten years ago. Social media has allowed viewers to interact with these creators – and fans know they are the ones with the answers. Showrunners are more engaged with fans because they have to be – a lot of them go to ComicCon to sell their shows and new seasons to their committed audience. The documentary focuses on the day-to-day running of TV series, mostly focused on Bones and the success and failure of TV new series (at the time of the doco’s production) House of Lies and Men of a Certain Age. What it mostly reveals is how time consuming the job of showrunner is, without any real insights into the creation of TV narratives. But, it does prove Grillo-Marxauch’s point about making things up as you go along – given the time constraints and the long hours, once you’re into a production schedule that lasts ten months of the year, it becomes harder and harder to plan ahead. Especially on network series that produce 22 episodes a year, where writing might begin in June, but shooting will begin soon after and the showrunner must find the time to write and produce. Even from my experience on Sonnigsburg, which we absolutely hoped to have written – at least to first draft stage - by the beginning of filming, as soon as production had started, writing had to take a back seat sometimes. Our showrunner and Executive Producer, Fiona Bulle, had to oversee casting and scheduling and location scouting. As well as having to write episode five, having already written and re-written the pilot to production quality. Our series is only six episodes long, because we’re working with a small budget in our off-hours. Premium cable dramas – like Mad Men or Breaking Bad – are usually thirteen episodes per season. Having listened to a few episodes of the Nerdist Writers’ Panel recently, it seems these thirteen episode series have about the same amount of time as network dramas – giving them more time to get the script written and right. BBC Dramas come in different shapes and sizes, depending on the stories they want to tell. I’ve just finished watching the first two series of The Fall – starring Gillian Anderson and Jamie Dornan. Series one was five episodes. Series two was six. The third and probably final series will be five episodes long. Creator/writer/director Alan Cubitt clearly knows the story he wants to tell and how long it will take to tell. But is he just making it up as he goes along? Almost certainly. Is that a bad thing? Not really, but I think the series is a clear indication of the trouble with a lot of TV shows – they have great concepts for one year but aren’t sure how to proceed beyond that. The first series of The Fall is tight and gripping – we follow the daily routine of both the detective on the case (Gillian Anderson) and the serial killer she is tracking (Jamie Dornan). The writing is smart and clever. The direction is stunning. And had it finished with episode five and never returned? I can imagine some people would have found it unsastisfying on a plot level, but in a way I was emotionally satisfied. But I was glad there was a second series to watch. And, thanks to Netflix, I could just press play and keep going. Because the first season of The Fall was so tightly plotted and well executed, the second season feels a lot more loose – trying to find focus with character and plot. There were a lot of threads left hanging after the first year, particularly as far as evidence the police hadn’t yet found, but the premiere of year two does a bit of regression to get the characters back to where they were before. I think the second year of The Fall is great, but it had a lot to live up to after the first year’s success. But it also does things you expect from a crime drama, mines some old cliches and was rarely as surprising to me as the first five episodes. It was, however, a very tense cat and mouse game between Gibson and Spector. No series, save Babylon 5, ever had the luxury of planning its entire series’ narrative arc before production began. Even B5 needed to switch horses midstream with a change of leading men, but most television is made up as it goes along. That’s the nature of television production. I don’t mean to pick on The Fall. I think it’s extraordinary. Up there with the best of the best. When a show is so great from the beginning, even one step down can magnify its flaws. And, besides, it’s the last show I watched – so it’s at the forefront of my mind. I literally just finished series two when I started to write this. I love the ongoing narratives of television series, but sometimes shows run too long and they lose what made them so great to begin with. I’ll be happy to see a third series of Stella Gibson and Paul Spector, but I hope it’s not dragged out too long – the story has ended really well twice. Let’s hope it can end well a third and final time. As for the ending of Lost - I found it really satisfying, where a lot of people who watched and enjoyed from the beginning were upset. And the ending of Sonnigsburg? So far, so good. If season two ever happens, let's hope we have a lot of time to make it all up as we go along.